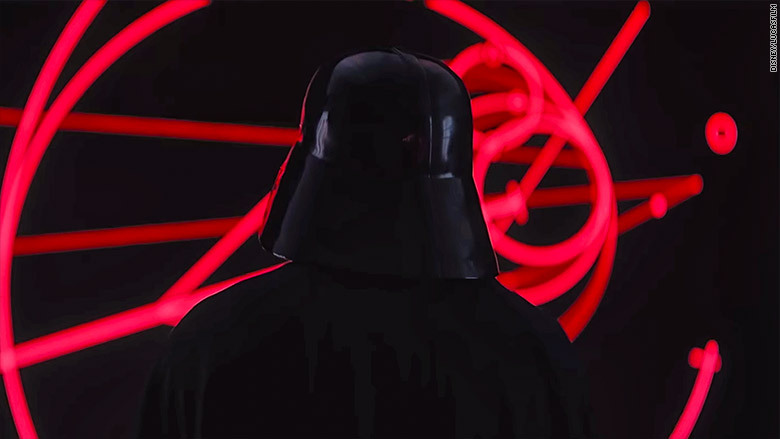 Darth Vader made his evil, yet very brief, return to the "Star Wars" universe as Disney (DIS)'s new trailer for "Rogue One: A Star Wars Story" gave us a small glimpse of the classic galactic villain in the upcoming film. The trailer for "Rogue One" debuted during NBC's coverage of the Summer Olympic games from Rio on Thursday night. The ominous preview begins with subtle notes to John Williams' well-known "Imperial March" score as Forest Whitaker's character, Saw Gerrera, proclaims that "the world is coming undone. Imperial flags reign across the galaxy." The two minute long trailer then takes viewers on a journey into a world before "Star Wars," illustrating that the film takes place just prior to the 1977 original. A bunch of the iconography of the classic franchise is there, like Star Destroyers, stormtroopers and the Death Star. "This is our chance to make a real difference," Felicity Jones' character says before coming face to face with a one of the Empire's TIE Fighters. 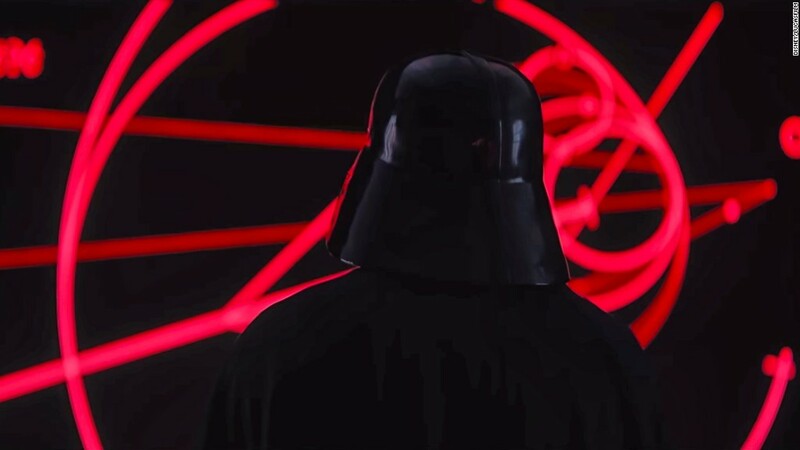 Then for a brief moment an image of Vader from behind appears on screen. He doesn't speak a word, but his iconic breathing can be heard as the trailer cuts to black. "Rogue One" is arguably the most anticipated film of 2016. The prequel is Disney's first spinoff film for the popular franchise. The film comes a year after "Star Wars: The Force Awakens" premiered in theaters. That film, starring Daisy Ridley and Harrison Ford, would go one to become one of the most successful films in box office history. "Rogue One: A Star Wars Story" lands in theaters on Dec. 16.